Unemployment is down, wages are up, and “ghosting” is on the rise. According to Express Employment Professionals franchise owners like Lisa Straughan of Longview, Washington, all these trends, compounded by poor communication skills, are connected. 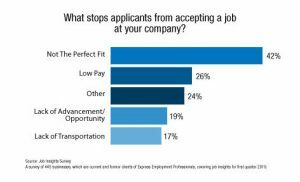 Because jobs are more plentiful and employers have to compete over wages, employees may get multiple jobs offers or interview requests at once and simply not show up—or “ghost”—the ones that are less appealing or pay less. 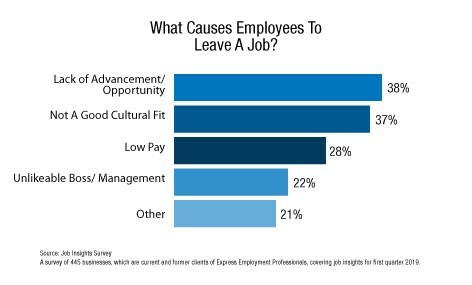 According to a new survey of businesses from Express, low pay is indeed one of the top reasons that job seekers will turn down job offers and why employees will leave a job. In Mobile, Alabama, Express franchise owner Chris Ashcraft agrees that businesses are far more willing to negotiate over pay than in past years and low pay is a “huge” factor when someone declines a job offer. As for actual “bidding wars,” he says those are most common in administrative positions and commercial driver’s license jobs. Some job seekers will turn down jobs with what they consider low pay even when they don’t have another offer. “I like to say some money is better than no money, but most of the time they still won’t accept a low-paying position. They’re waiting for a ‘better opportunity,’” Ashcraft said. Aschraft, too, has seen low pay lead to people “ghosting” interviews and their scheduled first days of work. 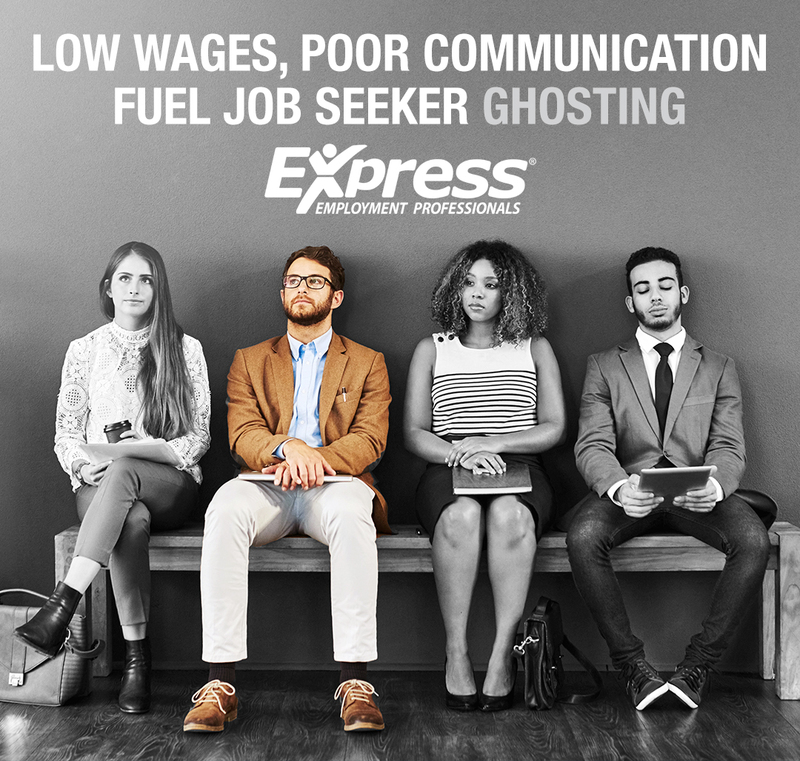 Janis Petrini, Grand Rapids, Michigan, Express franchise owner, sees job seekers ghosting interviews at the highest rate in history, often because they have found a better opportunity and fail to communicate that to recruiters. DeCoste has also noticed a generational divide when it comes to ghosting. “We do see that younger generations seem to ghost an interview while older generations will often let us know that they are no longer interested and sometimes,” he said. “Given the various modes of communication available, job seekers should take a moment to provide an update if they decide not to go to an interview or to leave an employer after accepting an offer. Employers keep records on interactions with candidates and you never want to burn a bridge with any company. In Olympia, Centralia and Aberdeen, Washington, Express franchise owner Reid Bates said job seekers in his market often accept a position but continue to hunt elsewhere for the perfect fit. In the current tight labor market, applicants have a heightened sense of their worth to employers — just not necessarily their current one. 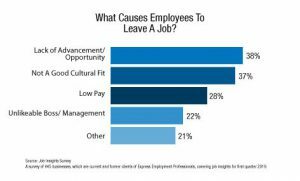 The survey of 445 businesses, which are current and former clients of Express Employment Professionals, was conducted in December 2018 to gauge respondents’ expectations for 2019.